“You humans. When’re you gonna learn that size doesn’t matter? Just ’cause something’s important, doesn’t mean it’s not very, very small” (Frank the Pug in the movie Men in Black). Merry Christmas, 2014! Happy New Year, 2015! For months I’ve been stuck in sleep. The last time I felt this way was Christmas of 1998, six months after my mother died. I had no idea that my soul had been smothering until my lungs snapped full in late December, and I thought, “Oh, so that’s what grief is.” Mom had passed, but she would have asked me to keep living. And now, I’m granted an epiphany, something probably obvious to everybody else, but hidden from me. After a tough year, the Christmas story has awakened me, but not because it can be historically proven. 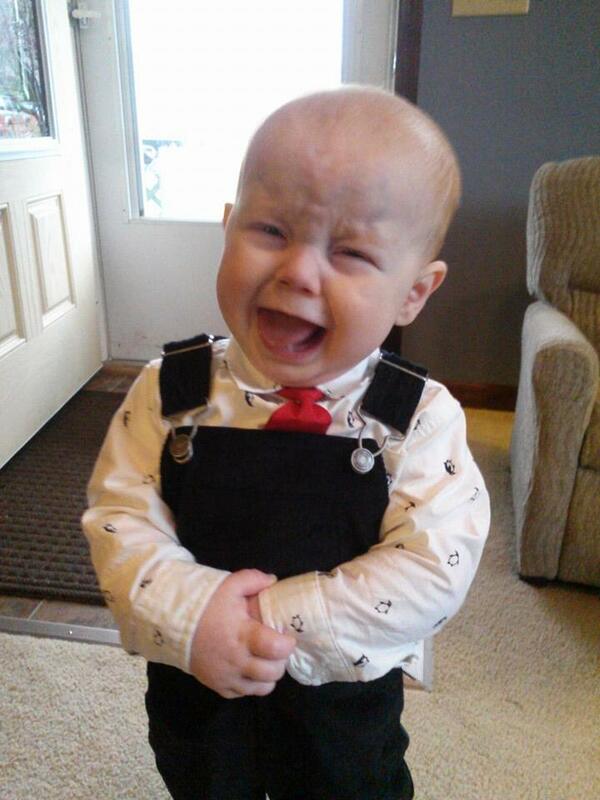 Haggling over facts makes me want to take a nap. It’s the truth of a story that has roused me from sleep. If you’re not a Christian, please listen anyway. Play along. 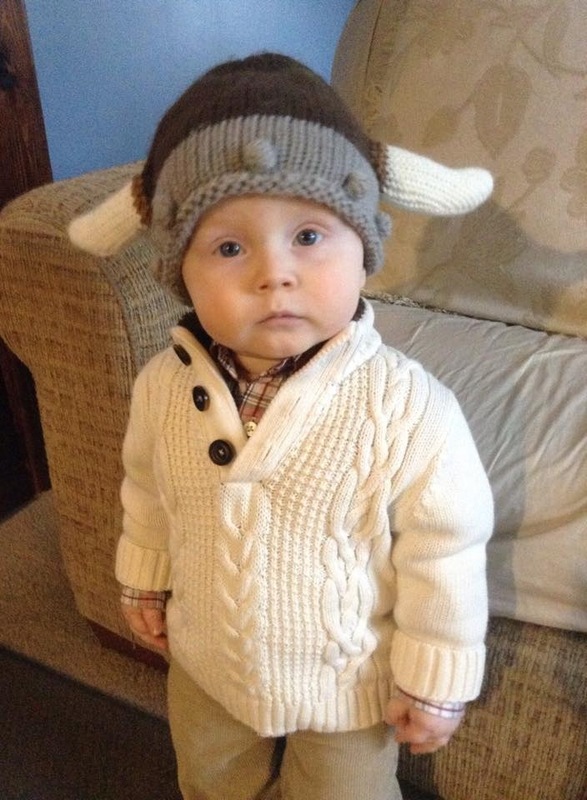 The Creator of All visits humanity as an infant, absolutely defenseless, not as a warrior and not majestic. “And so it was, that, while [Mary and Joseph] were [in Bethlehem], the days were accomplished that she should be delivered. And she brought forth her firstborn son, and wrapped him in swaddling clothes, and laid him in a manger; because there was no room for them in the inn.” These familiar details from the Gospel of Luke are small, so very, very small that they’re heartbreaking–a baby wrapped in rags and laid in a feed box. No room for him, except with the animals. But Frank the Pug’s gravelly voice grabs the scruff of my neck and carries me away from sadness. “When’re you humans going to learn that size doesn’t matter?” (Yes, yes, go ahead and chuckle.) Size not only doesn’t matter, but it can be deceiving. Example: ants weigh as much as humans do. I can’t recall when I first learned this, but son Micah verified it for me: “When combined, all ants in the world taken together weigh about as much as all human beings.” And so, wake up, John! 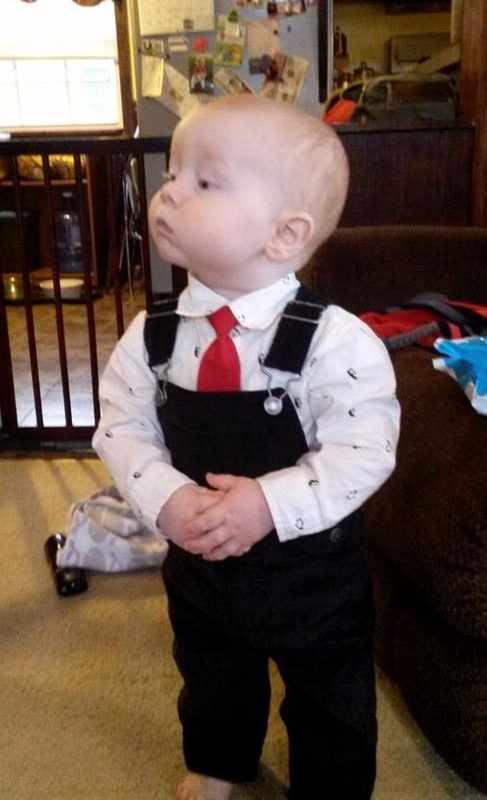 Sure, lousy, big, heavy stories have lots of us making Cole’s crying face, but when you place all the flecks of grace and good spirits on the scales, the world doesn’t look so bad. In fact, it shines. Thank you, Infant Lowly, for restoring my hope, putting a little steam back in my stride, and updating the prescription for my spiritual glasses. Rubbing the bad news out of my waking eyes, I see beauty and fun clearly now. Dear loved ones, please accept these holy, lowly flecks from my 2014. May they help you and me receive 2015’s ants of grace and good spirits. 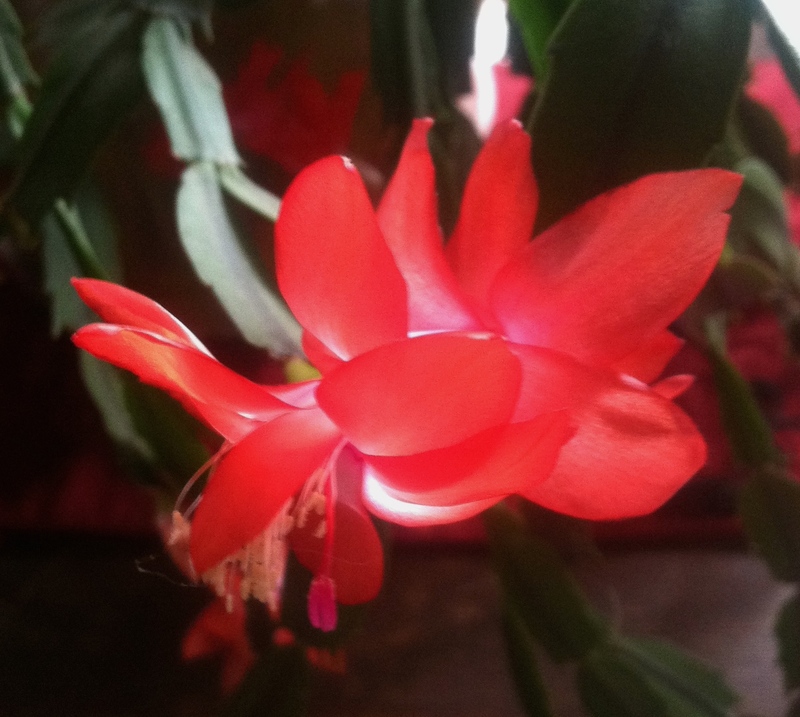 My late mother’s Christmas cactus now blooms in early November, so I figured it would be bare come December 25th. Not so. A couple of flowers opened late, but they’re no less lovely for that. This one is probably an over-share: Over twenty years ago dentist friend Tom built a tooth for me out of filling material. Money was scarce at the time, so Tom worked his magic, which lasted until Advent of 2014. 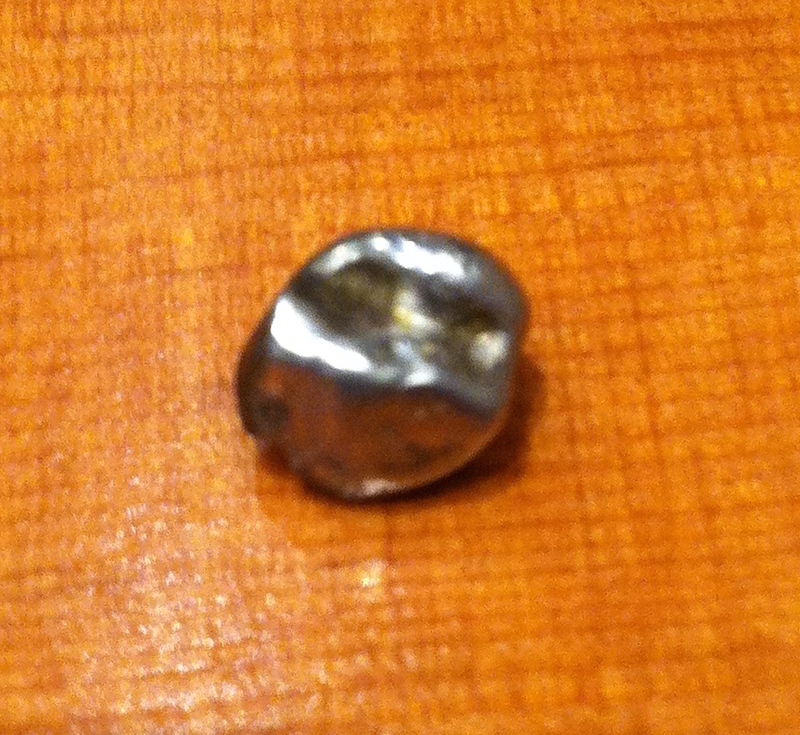 When I was in seminary, a dentist in Columbus said, “This one was made by a master.” Thanks for two decades of good service. 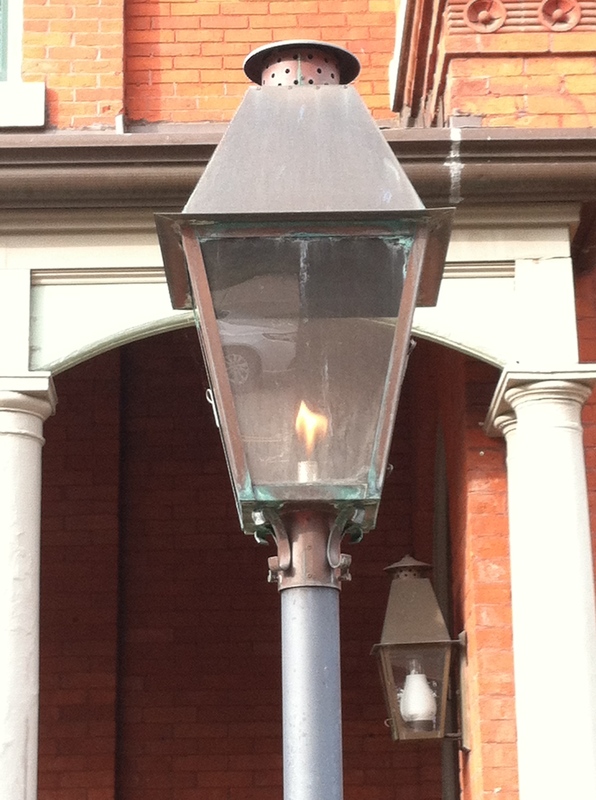 In downtown Erie, an old gas street lamp still burns in front of Gannon University’s Gitnik Manse on West 6th Street. I have no idea why this gave me a sip of joy, but it did. My book came out in 2014 as an indie publication. 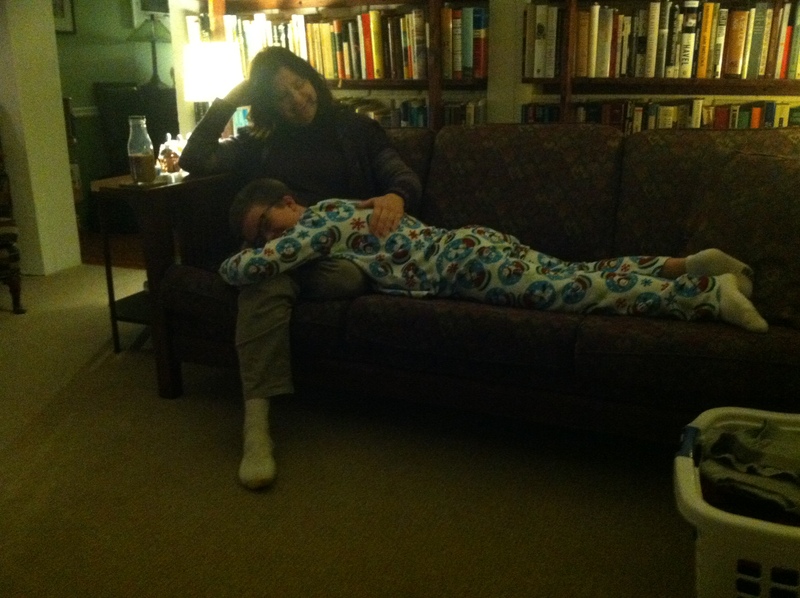 People seem to find out about it a person at a time–kind of like A Napper’s Companion. No thousands of readers, but a kindred spirit here and there. 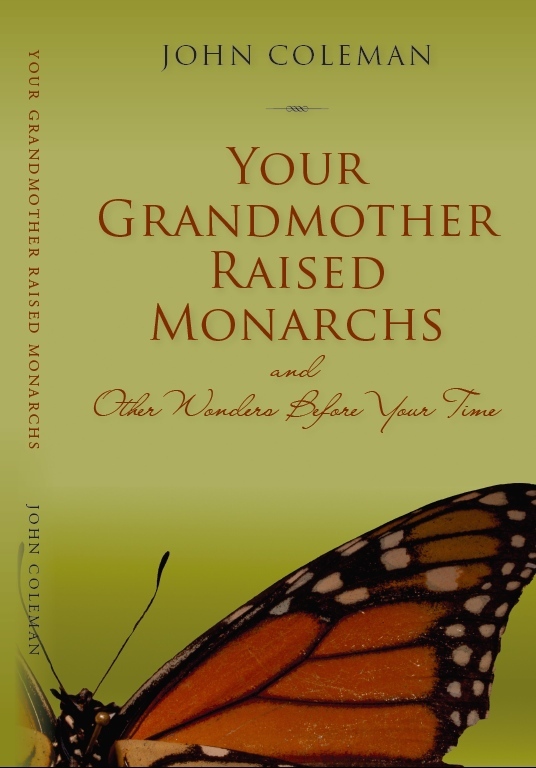 Oddball that I am, I sent a copy of “Your Grandmother Raised Monarchs” to the President and First Lady. What the hell? 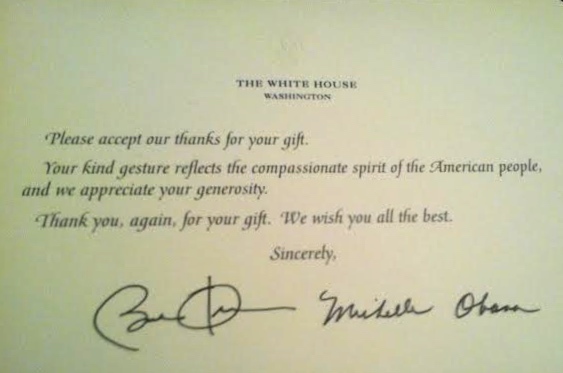 They sent a thank you note, though I’m sure the book itself was ground into a fine powder to be sure it wasn’t laced with anthrax. I call myself a writer, yet my vocabulary is embarrassingly slim. When I encounter an unfamiliar word, I look it up. In 2014, I read carbuncle, which I knew is a precious stone from reading Sherlock Holmes stories, but the context told me there must be another meaning. A carbuncle, it turns out, “is [also] a red, swollen, and painful cluster of boils that are connected to each other under the skin.” Why, thank you for that update. I also stumbled on sycophant, who is a “servile self-seeking flatterer.” The synonyms tickle my teenage sense of humor: “apple-polisher, bootlicker, brownnoser, fawner, flunky, lickspittle, suckup, toady.” Lickspittle! I can’t wait to toss that one out in a conversation. I love words and consider them a blessing, though I don’t retain them very well. I also love quotations, in part because I compiled 365 of them for a collection of daily meditations, Questions from Your Cosmic Dance, which came out in 1997. I jotted down one of my favorites from the past year on a scrap of paper and still have it. It voices wisdom I need to hear and follow. This quote comes courtesy of Belief.net’s “Jewish Wisdom,” which lands in my email-box each day. The older I get, the more I choose not to say. 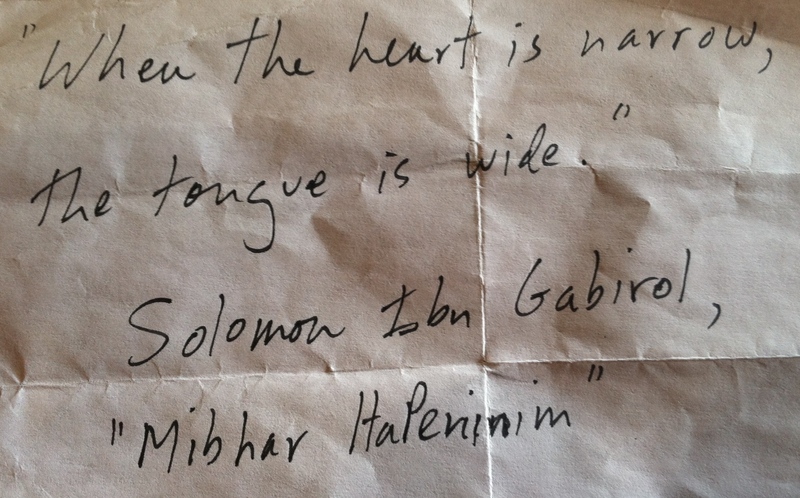 Thank you, Solomon Ibn Gabirol. Words are flecks of goodness, as are quotations. Laughter also places weight on the scale to counter despair. 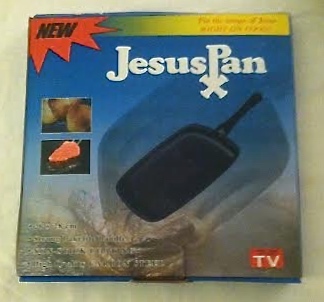 Daughter Elena and son-in-law Matt gave me a Jesus Pan for Christmas. Little do they know they’ll be eating Jesus French toast someday soon. One thing I know about the months ahead: unless I get lost completely, don’t expect me to repeat the tired grief of 2014. Sure, I’ll get sad and discouraged, but nothing can change the fact that ants weigh as much as humans. You have to look closely for very, very small flecks of grace and good spirits, but once your eyes learn to spot them, the size of the bad news doesn’t matter so much anymore. May this fortune be so for you in 2015, my loved ones.